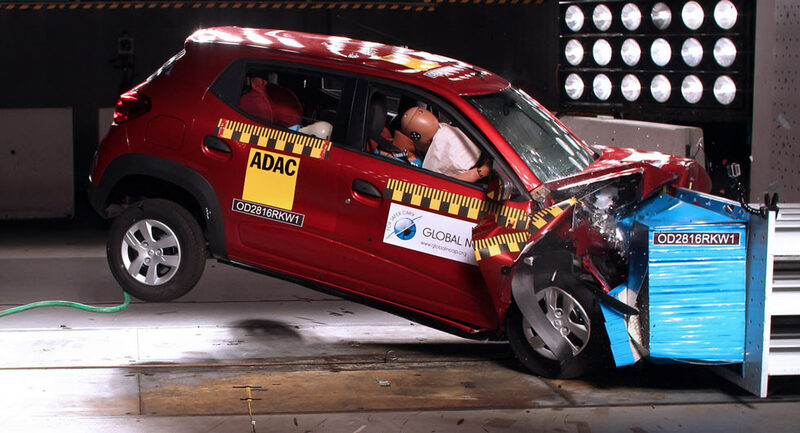 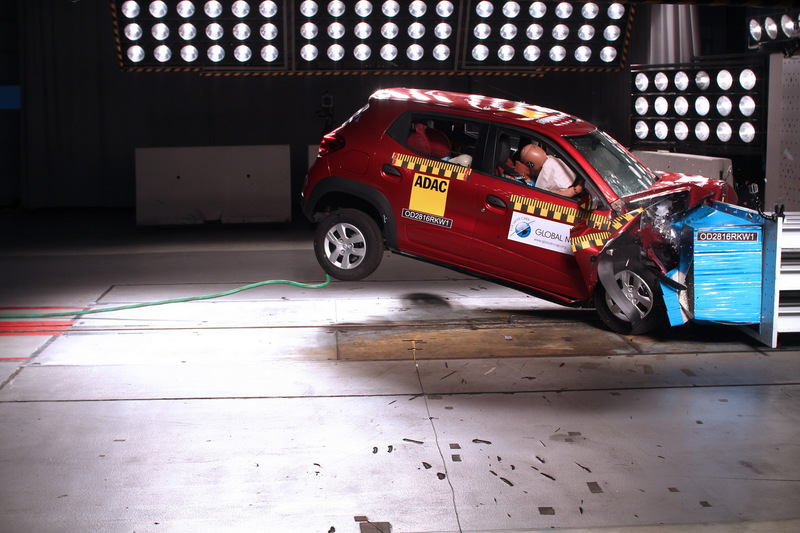 Renault’s small pseudo-SUV, the Kwid, continues to disappoint in Global NCAP’s crash tests. 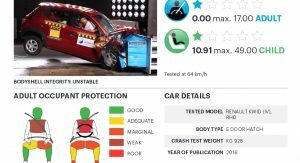 After it failed to achieve any stars in the adult occupant protection, when it was tested in the most basic version, it underwent the frontal impact test, this time equipped with a driver’s airbag, scoring one star. 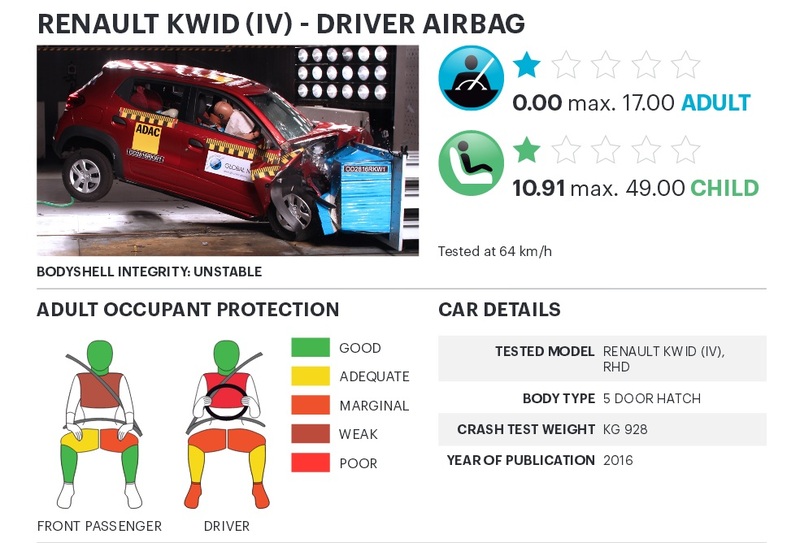 At the standard 64 km/h (40 mph) impact speed, dummy readings indicated ‘good’ head and neck protection for the front seat occupants, but while the passenger’s chest received ‘weak’ protection, the driver’s was noted ‘poor’. 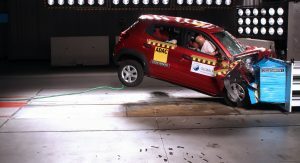 Global NCAP admits that Renault added reinforcements in the structure on the driver’s side, but even so, the bodyshell remains ‘unstable’. 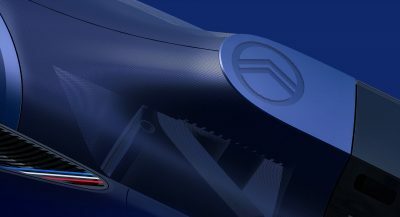 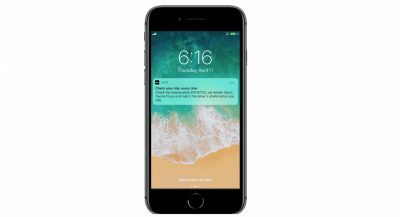 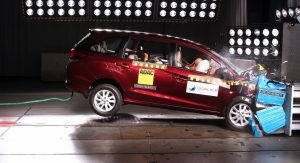 “The latest version and the most highly equipped safety levels, includes an airbag only for the driver and a seatbelt pretensioner for the driver’s seat. 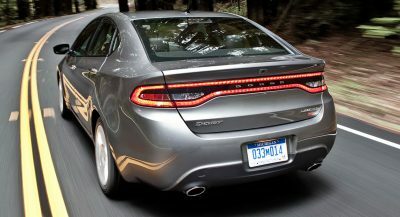 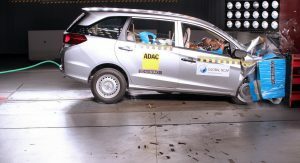 During the test this version still showed high chest deflection, explaining the one star rating in the driver seat“, as Global NCAP wrote. 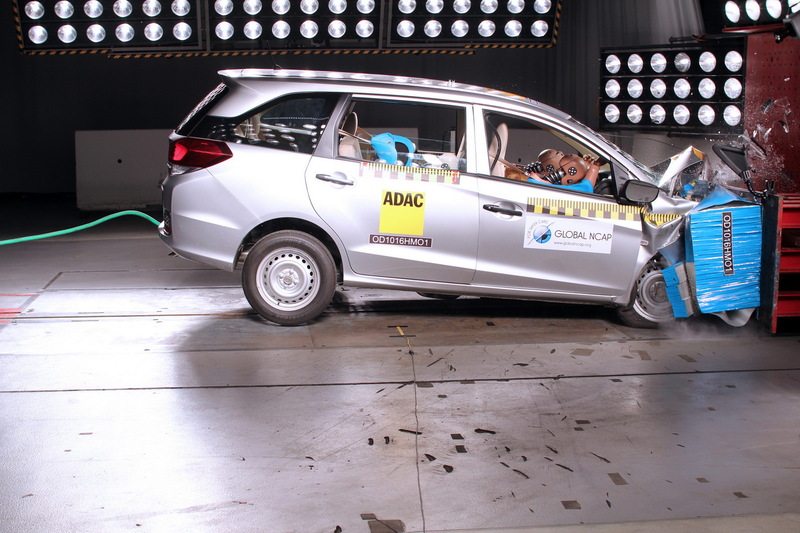 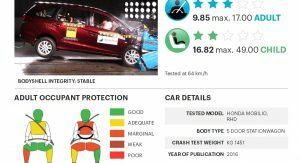 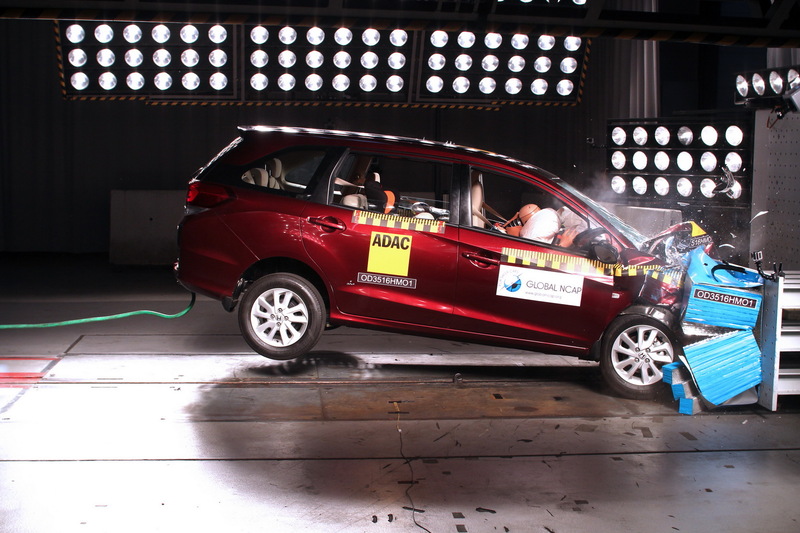 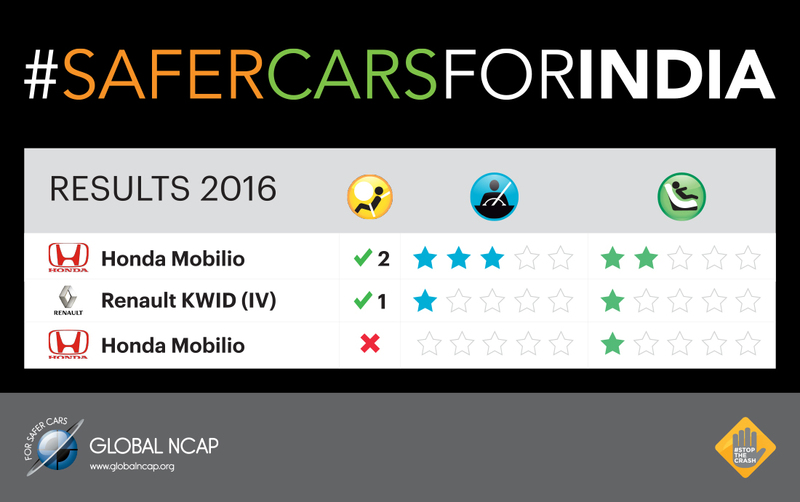 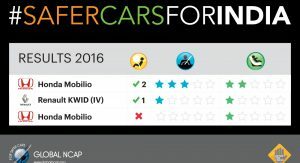 Besides the Renault Kwid, Global NCAP tested the Honda Mobilio, a seven-seater MPV, which, in the entry-level variant showed a ‘stable’ structure, but scored zero stars for adult occupant protection and one star for child safety. 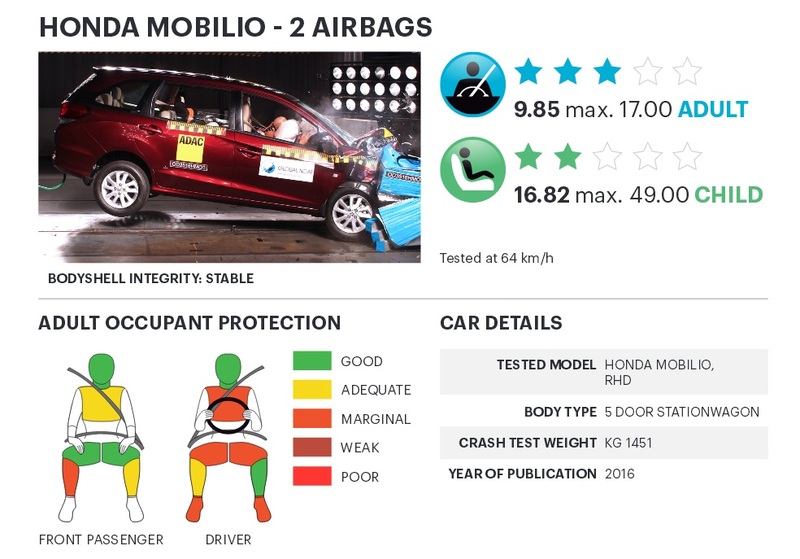 However, when equipped with two front airbags, the vehicle’s ratings went up to three stars for adult occupant and two stars for child.